Firefox has discontinued the support for legacy extension$ I know that many of you have used this extension until it's last days and I want to thank you for all your support. 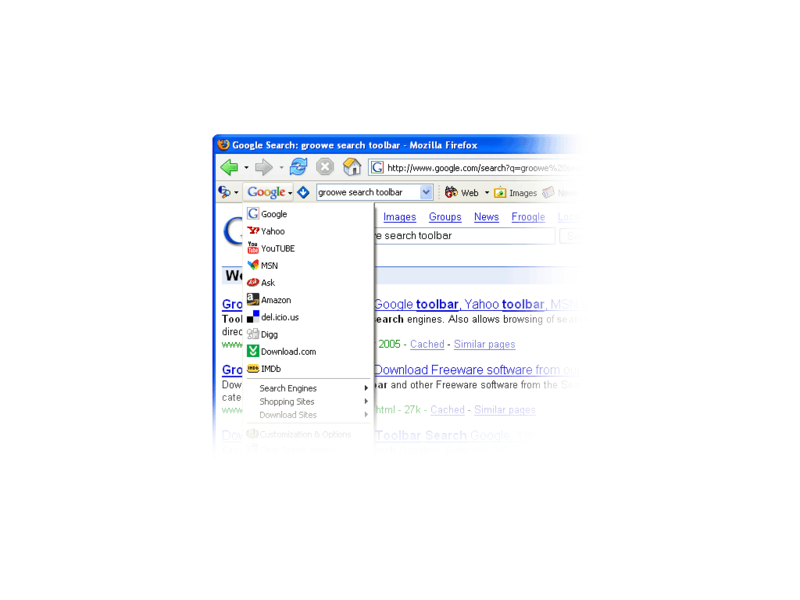 Search Google, Yahoo, AltaVista, Amazon, Ask, MSN and other search engines directly from Firefox with Groowebar. Just like you have installed Google toolbar for Firefox or Yahoo toolbar, Groowe Search Toolbar is customized for each search engine included in the list so with each engine you will have unique experience. You will be able to perform all kind of searches that some engine supports, for example image search, audio search, video search etc. Toolbar doesn't support just search engines, you will also be able to search jobs, downloads and shopping sites. Check Groowebar updates often to find out about new releases.